Our installation team carries an extensive range of digital TV aerials, DAB radio aerials, satellite dishes and amplifiers. 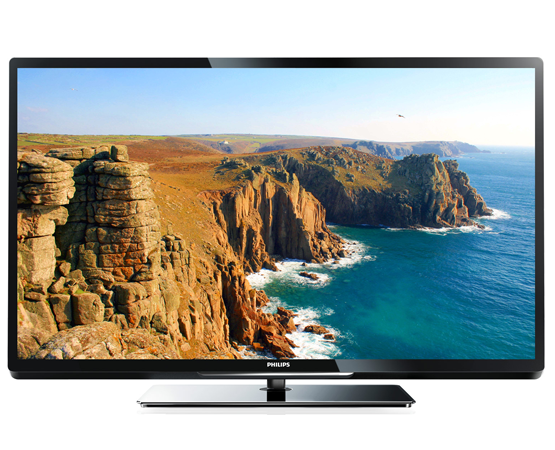 South West Digital are West Cornwall's leading expert in the installation and wall mounting of flat screen TV’s. Here at South West Digital you can trust us to make certain that your Freeview set-top box is correctly set up for best use. We are a leading supplier of Freesat technology to numerous clients in Penzance & Cornwall. Whether you are disillusioned with Sky, or have been let down by another installer in the past, all is not lost, please call us today. We are inundated with enquiries and orders from businesses who know it makes sense to call us when joining the digital revolution. South West Digital provide a wide variety of TV aerial and satellite installation services in Penwith, West Cornwall and throughout the whole of Cornwall, providing us with a wealth of experience and local area knowledge. Working in the Penwith area, and servicing all of Cornwall, South West Digital are specialists in aerial installation and we provide a professional service to businesses and individuals throughout Cornwall. Whether you need to be hooked into Astra for your Internet or for your Sky+ HD, we can provide a range of satellite installation services and set top boxes that will ensure a quality experience year round. We specialize in taking on special heights installations that most installers will decline and refuse to do. Nevertheless we are just as happy when supplying and fitting a Freesat satellite system or providing a motorised dish system for foreign language TV. Whether you need a new TV, a Blu-Ray Player, Surround Sound speakers, amplifiers, or any other electrical equipment, we can help, and we do so at competitive prices. Coverage Areas - Where do we operate? South West Digital operate technicians installing digital TV aerials, satellites and a whole new world of multi-channel TV services throughout Penzance, Penwith & West Cornwall. These are just a few of the places we operate in, and we also cover all areas within a 50 mile radius of Penzance. To see a full gallery of all of the areas we cover, please click here. Would definitely recommend South West Digital for a reliable, fast and friendly service... We then called in South West Digital to sort out our mess and install it properly! This was done promptly and efficiently by George, the engineer, in very little time at all. Overall an excellent service. Many thanks for your prompt, courteous and excellent service. I shall recommend you to friends. Good luck in future ventures. Best wishes. Excellent service... South West Digital offered a very competitive price. The work was completed to a very high standard and the engineer was very thorough... Polite, Friendly and Professional. Overall I was very impressed. Phoned up at 9 in the morning for them to replace my satellite dish and fit cables to my kids tvs. By 3pm the same day it had all been done. Fast, friendly and good value. Will be recommending to all my friends and family. We install the highest quality Hikvision high definition CCTV systems. Freesat offers a great alternative where there is limited Freeview reception and benefits from additional HD content. Freeview is the simple way to enjoy over 140 digital TV channels. We are proud to offer a highly qualified team of specialists.